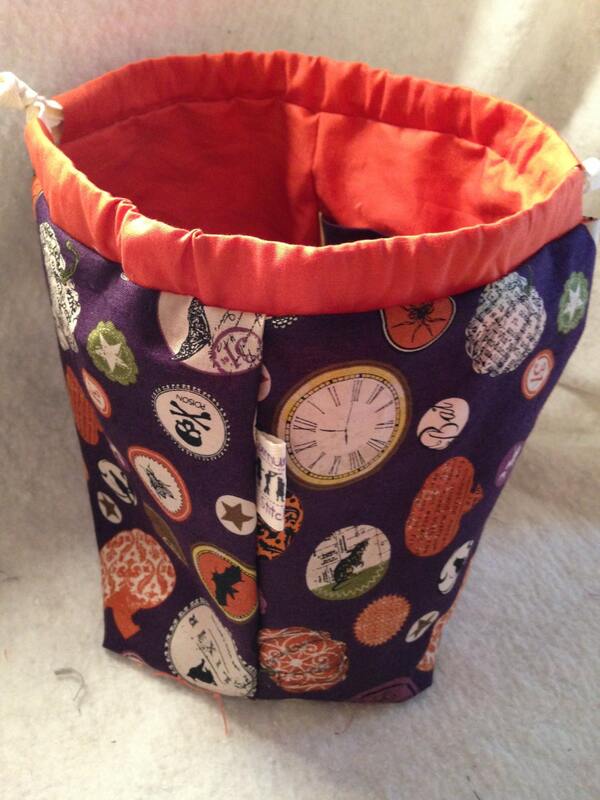 Fun, halloween themed sock sacks for those who love to knit or crochet with more than one ball of yarn as these allow for them to stay apart within the sack! The sock sack has a zippered pocket that divides the sack in to two sections and a snap guide on each side for the division of your yarn while you are knitting up two socks at a time in order to avoid tangles. 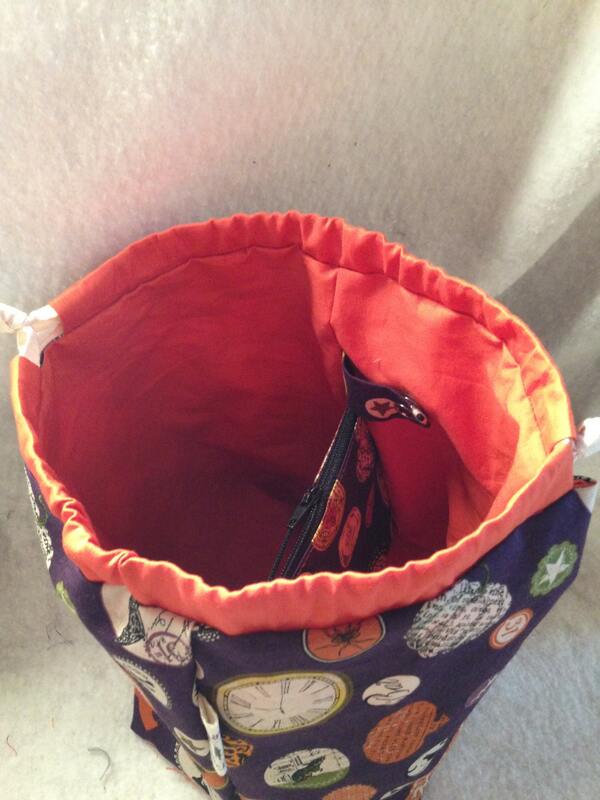 Uses a cotton twill ribbon for a drawstring closure.